“More than ever it’s important to show the real beauty of life and nature. The environment is taken for granted and the beauty seems to be missed. We need to remind ourselves of the natural forces out there and the harmony that needs to take place in order for this world to survive. 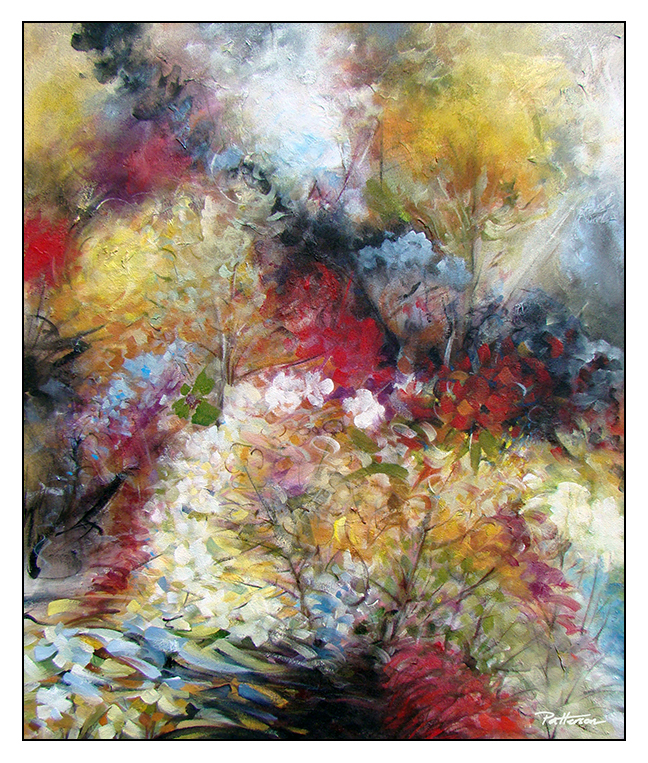 From the very abstract, down to the simplest of forms, nature is always an ever-present element in my work. Painting for me is the blending of the outside world with the inside world and expressing those feelings onto a 2 dimensional surface. Currently I’ve been working on landscapes mainly drawn from memory. Places that give me a sense of familiarity. Not only in look, but also in feel. I use colour, form & symmetry to remind us of the life that exists within our surroundings. I like to over exemplify the balance & symmetry that happens naturally which is not always apparent to the naked eye.